The design of this case is always evolving. We are 100% open to customizing the layout to meet your needs exactly. Give us your ideas and we will find a way to make it work. 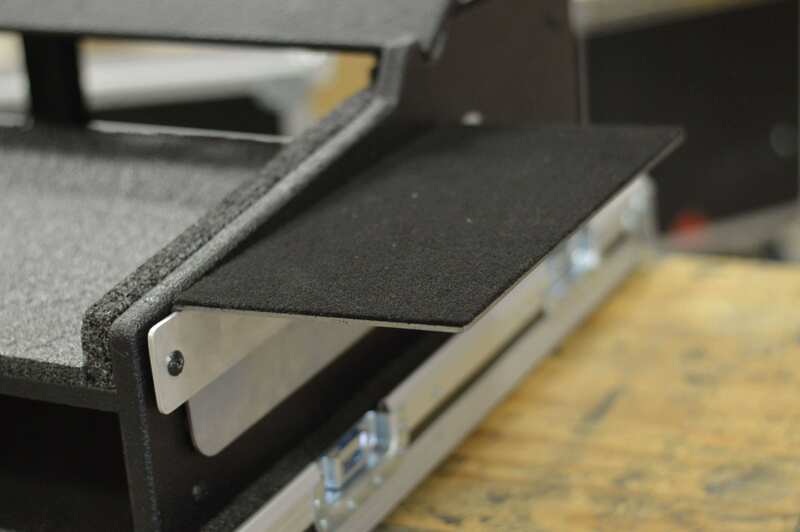 Customize your case and order online or contact us at sales@stlcase.net and we can give you a full list of interchangeable options and features! 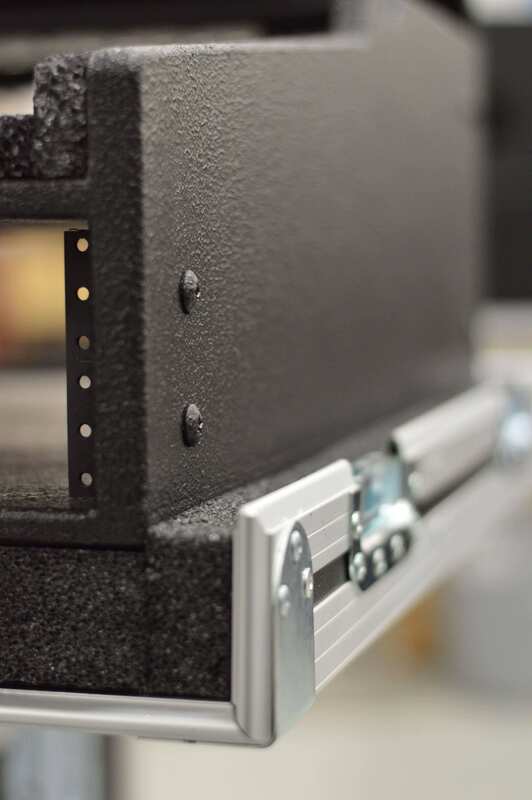 Our GrandMA2 OnPC Road Case System is designed with adaptability in mind. The case combines a workstation with a customizable doghouse and rack system allowing for endless gear and upgrade combinations. 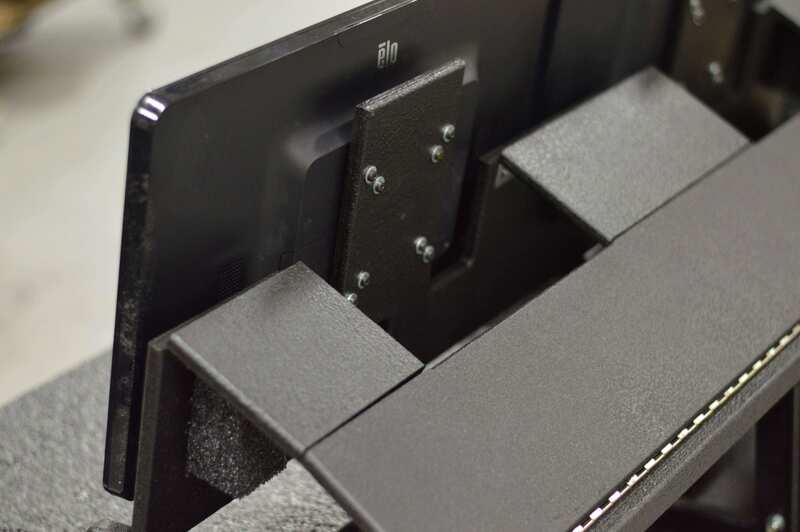 The front rack is ideal for computers, keyboards or storage drawers leaving the back for power, cabling, and customized connection solutions. How many rack units do you need in your GrandMa2 OnPC Road Case? 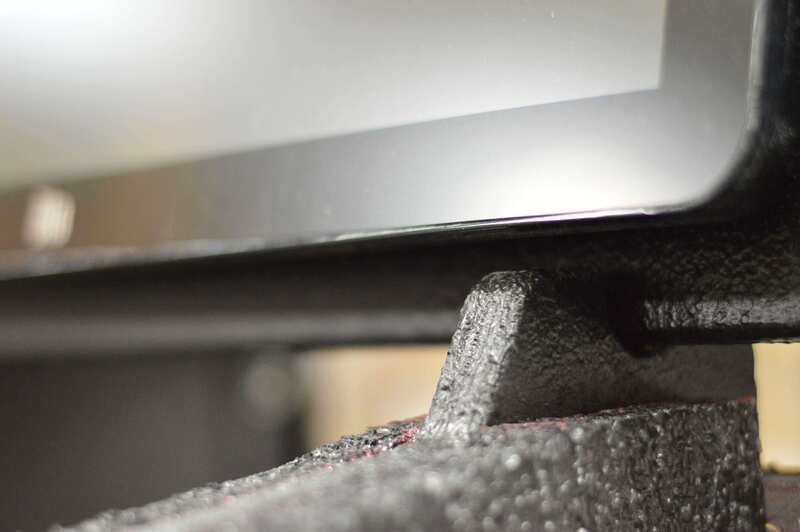 We find that most users are satisfied with our basic 2RU in front / 4RU in back rack design. But wait…..we didn’t stop there. We considered the need to include computers, power, drawers, keyboards, storage, et al, essentially allowing you to integrate your personal gear into one easy set-up. 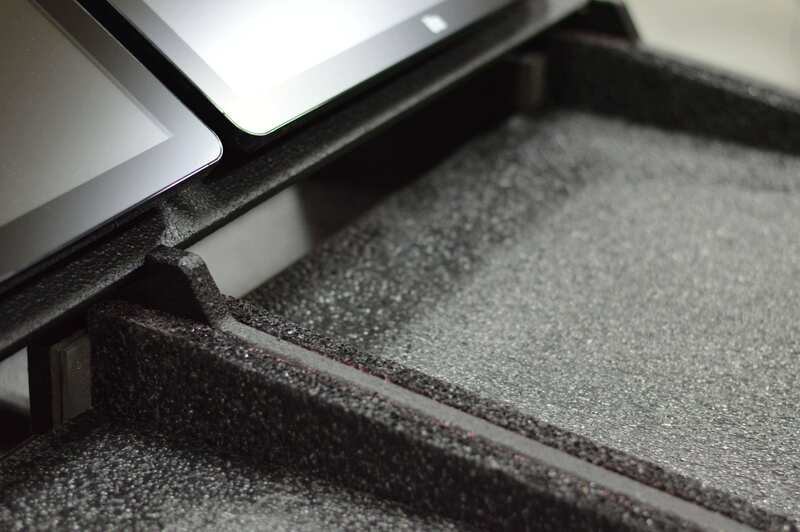 Some users require even more personalization so we added optional accessory shelves for the Microsoft Surface. We modified the case to a version that fits Martin consoles. 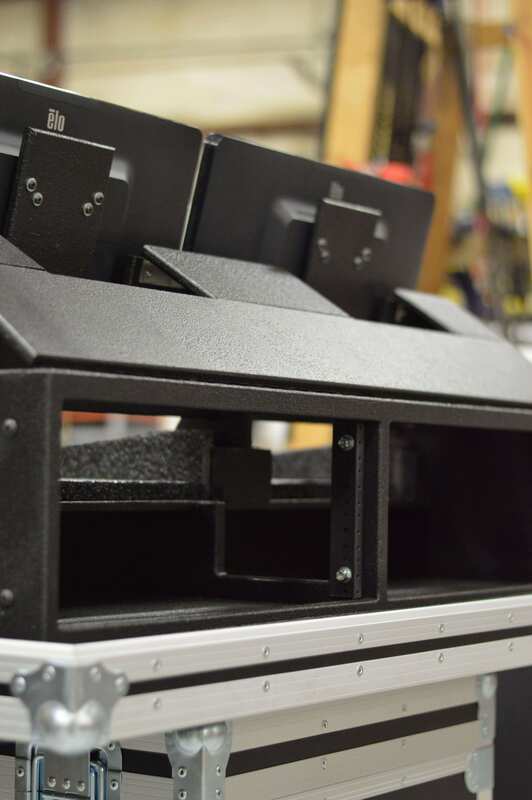 We designed a Triple Wide to accommodate a 2nd Fader Wing. We even offer a 1 RU version for users wanting a more compact, sleek design. Have no fear, we are here to protect your gear.